Ralph is a geologist, mineralogist, petrologist and mineral collector (from childhood), living just outside of Hobart, Tasmania, Australia. 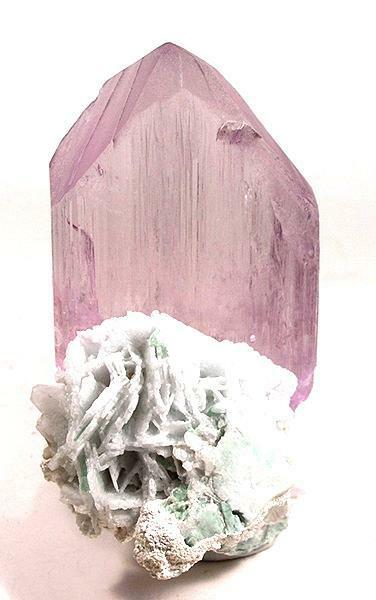 Specialising in Tasmanian minerals, also minerals from Broken Hill, South Australia and a few other favorite areas; also secondary Cu-Pb-Zn minerals and phosphates and arsenates. A species collector - passed 1000 species with the help of good friend Steve Sorrell. Any size from micro to large. I work for Mineral Resources Tasmania (Mines Dept of Tas) where I run the mineralogy/petrology labs and rock collection; study various Tasmanian mineral deposits, rocks and minerals; analyse and describe samples (from gems to minerals, rocks, asbestos, dusts, synthetic materials and soils) for the Dept, general public, Police and other Govt Depts, exploration companies, etc. I am an associate curator for minerals with both the Tasmanian Museum and the Queen Victoria Museum; this includes assisting with the famous mineral collections in the Zeehan Museum. I'm am currently President of the Mineralogical Society of Tasmania, and a member of the Mineralogical Society of Great Britain, the Mineralogical Association of Canada, the Society for Mineral Museum Professionals and the Specialist group for Geochemistry, Mineralogy and Petrology (Geological Society of Australia). An associate editor for the Australian Journal of Mineralogy. I am a registered valuer of minerals and meteorites under the Australian Cultural Heritage Act. On Mindat, I help manage the data for Australia and Tasmania in particular, since about 2008; Mostly vetting photographs and locations, adding sites, minerals and other data where needed. 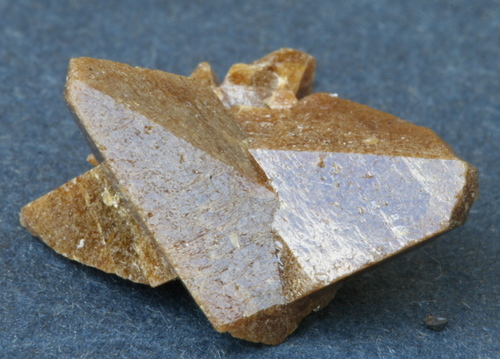 I help a little with updating mineral data, the glossary, etc. When time permits I work on various best minerals blogs and try to help with some questions on forums. 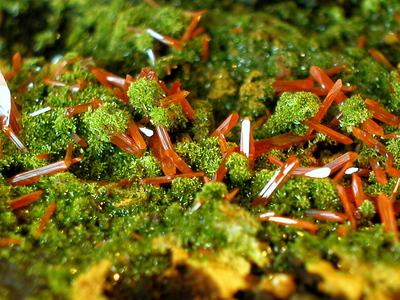 This page lists Ralph's favourite minerals, localities and photos. All lists in alphabetical order. 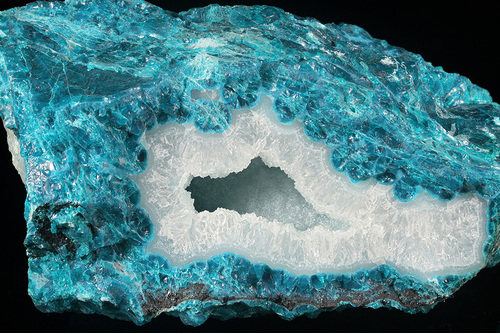 Quartz-lined pocket within massive chrysocolla. Former Don Miller collection.